If you haven't noticed, my whole blog has changed, quite drastically. I have added a couple of pages that includ an About Me section, Tutorials and my Edits. You should go and check them out! 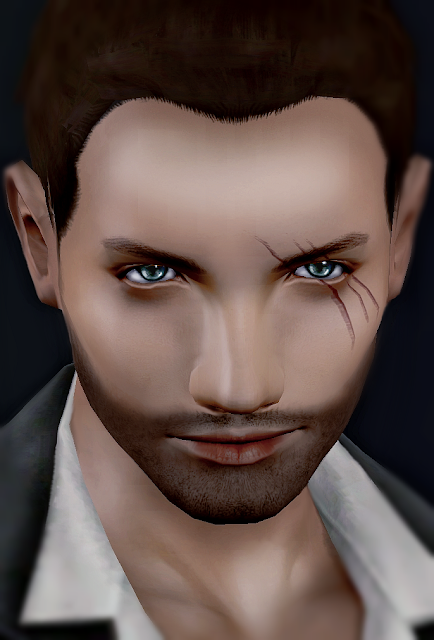 Oooh, he is hot stuff - love the scar:) Your blog looks great as well! As for yours, they are amazing! I'm sure you would do fine! It is my eye enhancing tutorial is extremely easy! I love this guy Bucko, he's bad-hot.